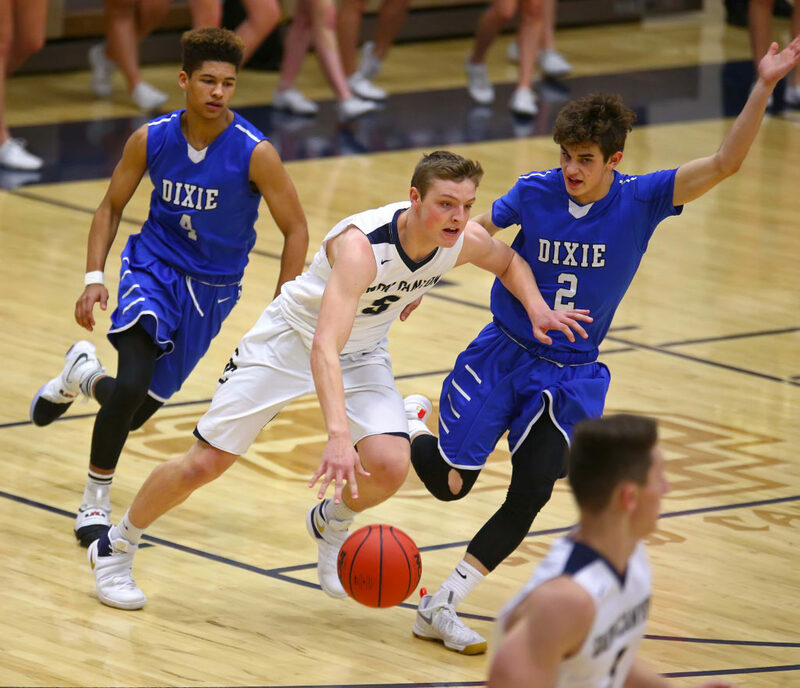 ST. GEORGE – Dixie, Pine View and Desert Hills all got off to quick starts and were never seriously challenged in Region 9 boys basketball Wednesday night. 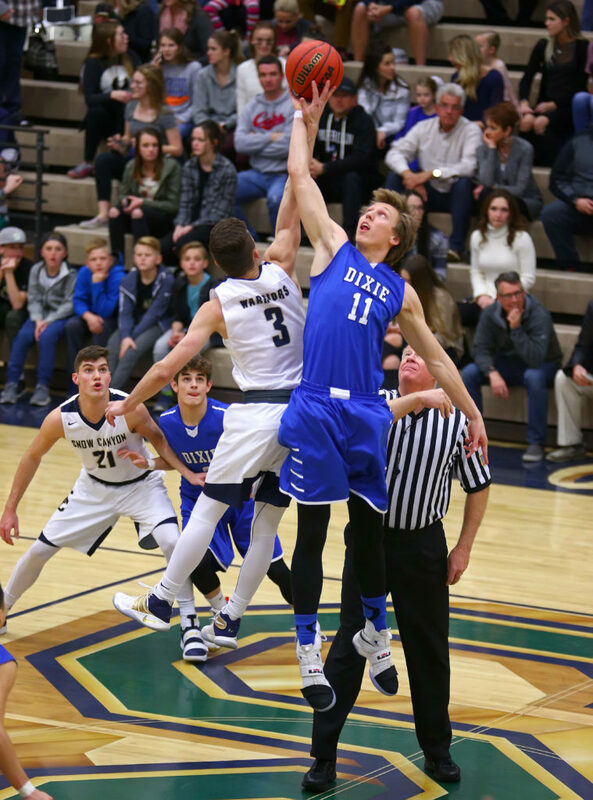 For the Flyers and Panthers, it sets up a monster matchup between the two on Friday night at Dixie High School with first place on the line. 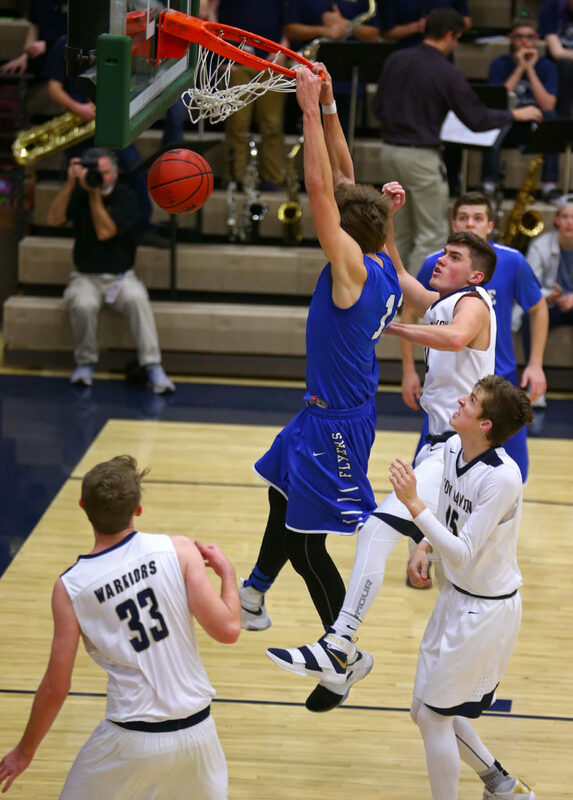 But anyone expecting a close game in region play Wednesday was sorely disappointed. Sharp shooting by Sam Stewart and Camden Flinders and stout defense by Ty Curtis and Richard Guymon turned this game into a blowout early. The Flyers led by as many as 26 in the first half. 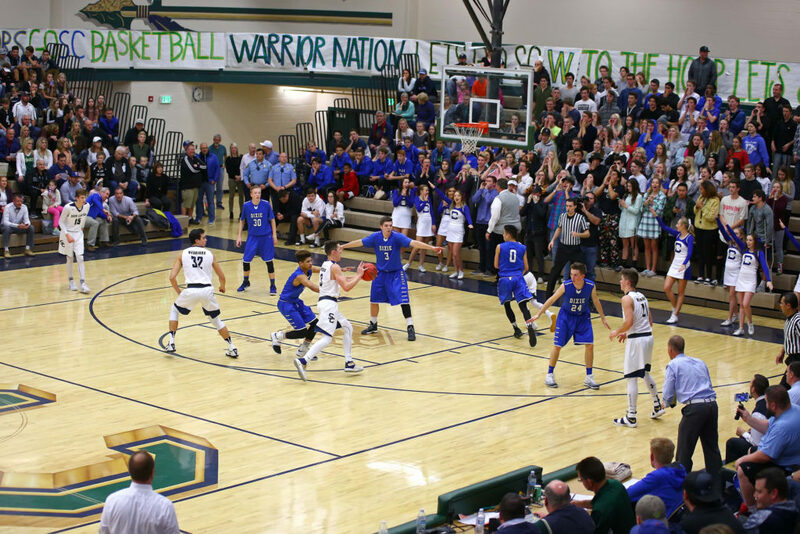 Snow Canyon led 4-3 early, but Dixie’s press caused all kinds of troubles for the Warriors. Curtis, Stewart and Kannen Dye all converted on fast-break layups after Warrior turnovers in the first quarter and the Flyers went on a 12-0 run. For Stewart, it was the jump start to a big night. Stewart made four 3-pointers and scored a team-high 22 points in the game. Flinders made two first-half treys and Tanner Cuff hit from deep as Dixie ran out to a 41-15 lead. 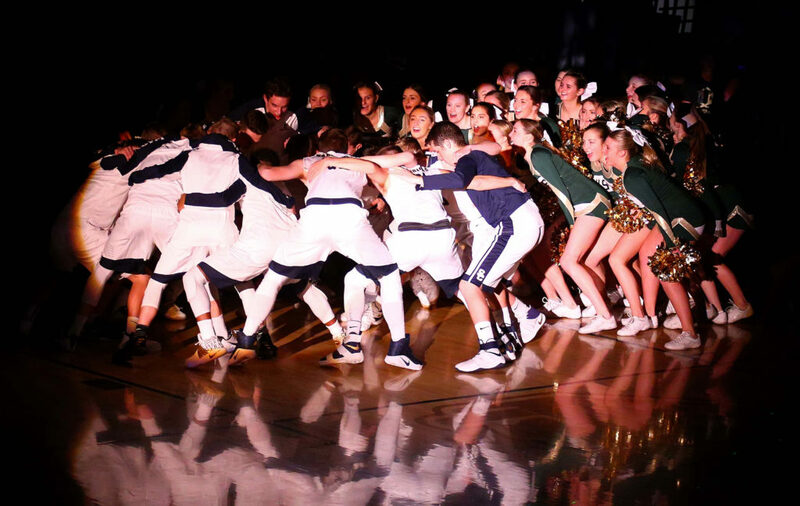 Snow Canyon scored the last seven points of the half to make it 41-22 at intermission. 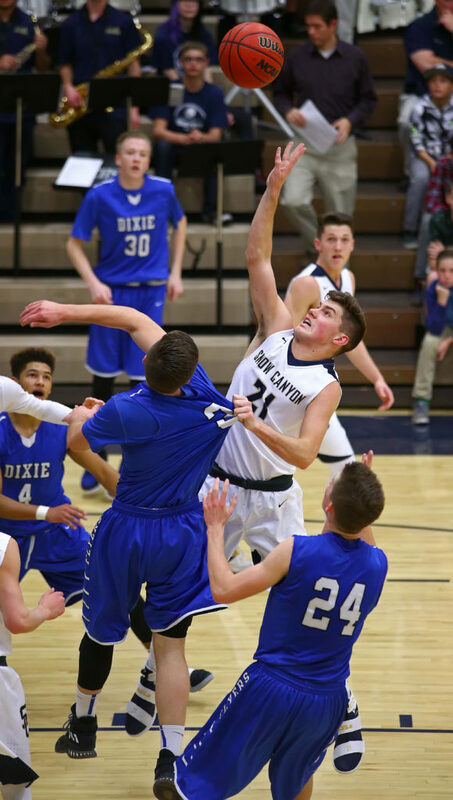 Behind Braden Baker, the Warriors showed heart in the second half, at one point cutting the Dixie advantage down to just a dozen points. But the Flyers put the game away in the fourth quarter with Kaden Elzy burying a couple of 3s and DHS hitting 15 of 19 free throws in the game. 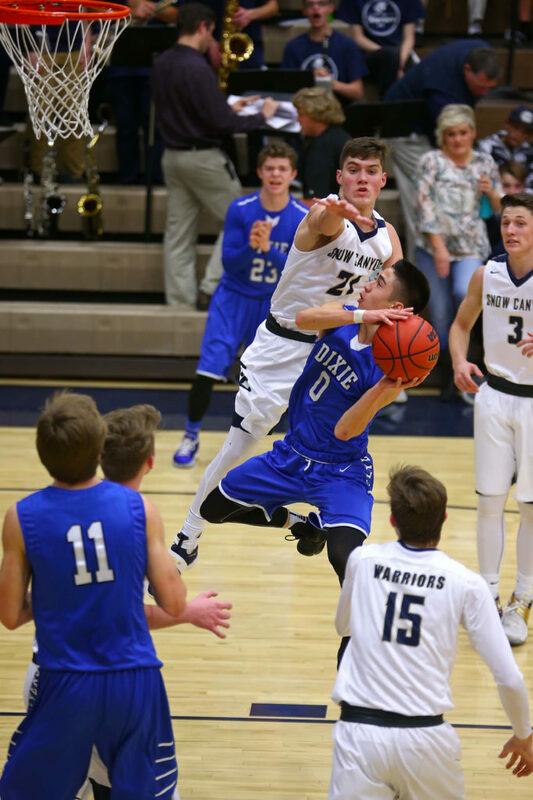 Guymon had 16 points – including two fierce dunks – and also blocked four shots in the game, altering countless others. Elzy had 10 points and Curtis finished with seven points and five steals. Baker had 28 points, scoring on soaring drives and high-arching treys. He hit four 3-pointers and was 4 for 5 from the line, though he missed a front end of a one-and-one late in the game that could have gotten him to the 30-point plateau. The junior guard’s career high is 29. 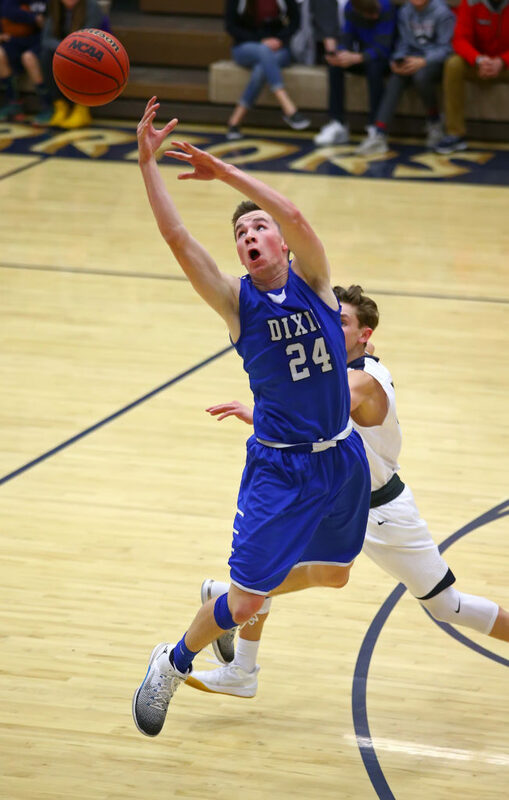 Dixie improves to 16-0 on the season and 3-0 in region play. The Flyers host Pine View Friday night with both teams unbeaten in region play. 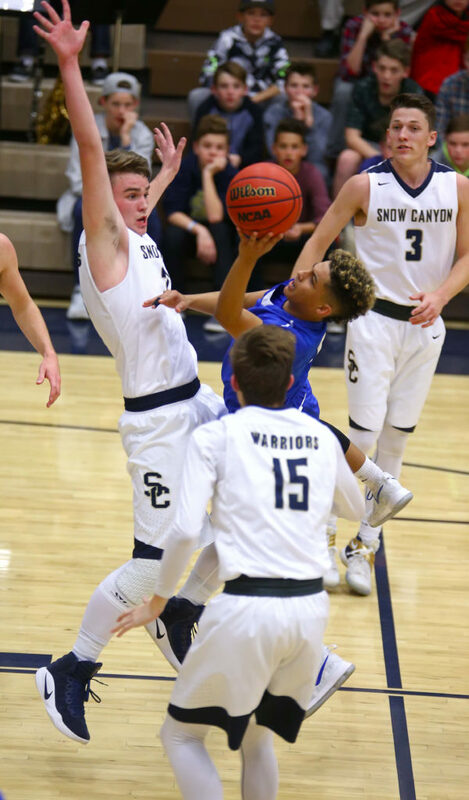 Snow Canyon, 6-8 and 0-3, got 13 points from Christian Sullivan and seven from Bryson Childs. 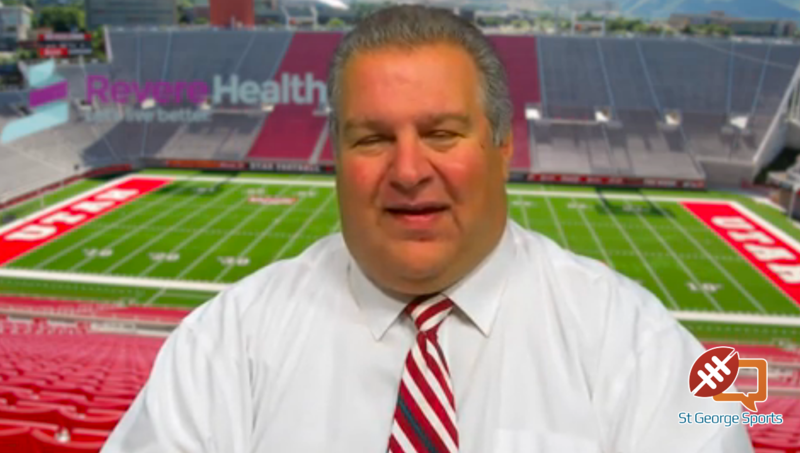 The Warriors play at Desert Hills Friday night. Logan Hokanson and Cam Clayton hit 3-pointers in a game-opening 12-3 run for the Thunder, who never trailed in the contest. The Tigers were within 12-5, but Hokanson and Isaac Olivas hit deep balls to push the lead out to double figures. Graden Cahoon and Jackson Last hit baskets in the second to pull Hurricane within 21-15. But just before halftime, Jacob Mathews converted on a three-point play to push the DH advantage out to 27-17 at the break. Nate Ben scored first out of halftime to make it 27-19, but Mathews answered at the other end to spark a 6-0 run and the Tigers would get no closer than eight the rest of the way. The final score was the widest lead of the night. 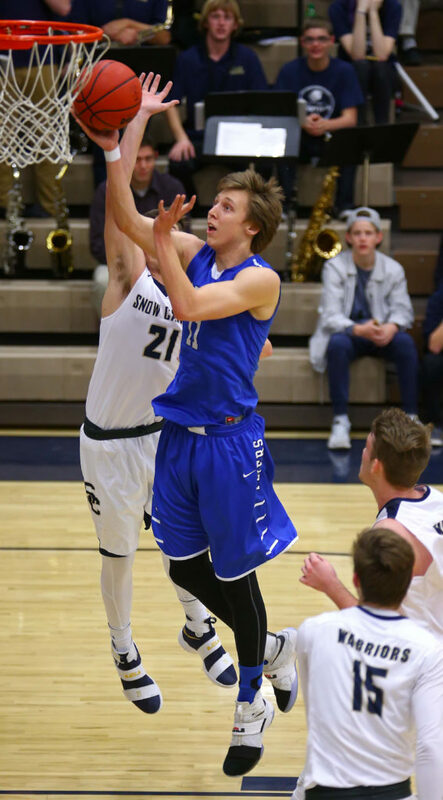 Hokanson finished with a game-high 18 points, while Mathews added 12 and Tanner Turley stuffed the stat sheet with nine points, 11 rebounds and six assists, plus two steals. The Thunder are 12-4 overall and 2-1 in region. Last had 12 points and Josh Parker chipped in 10 for Hurricane, which fell to 10-7 overall and 0-3 in region play. The Tigers made just 13 of 44 shots in the game (30 percent). 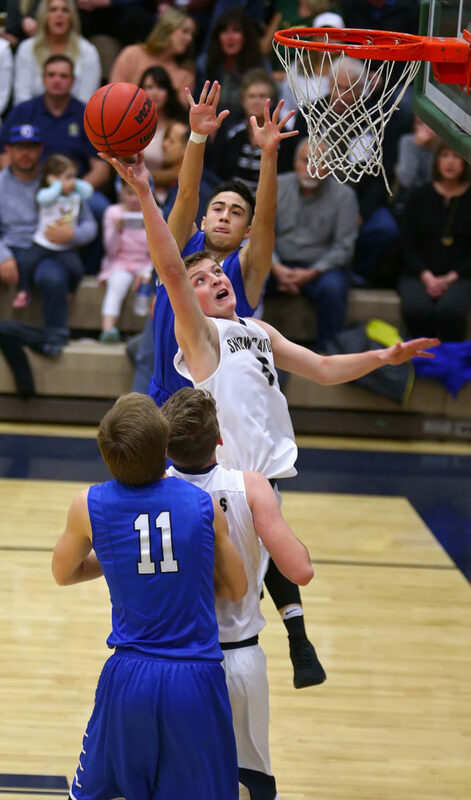 Desert Hills will host Snow Canyon Friday night at the Thunderdome, while Hurricane, which has lost four straight, will travel to Cedar. The Panthers shut down the Redmen offense in the second quarter and turned the game in their favor from that point on. After a back-and-forth first period, Pine View allowed just a single Cedar basket in the second, a layup by Braden Garrett. 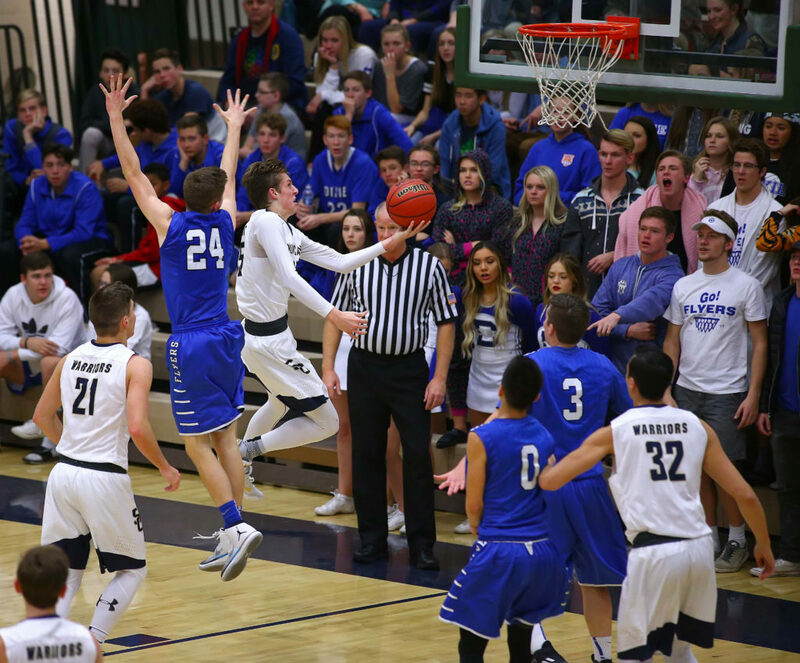 Before Garrett’s lay-in, Pine View had started the quarter on a 5-0 run that made it 19-13. 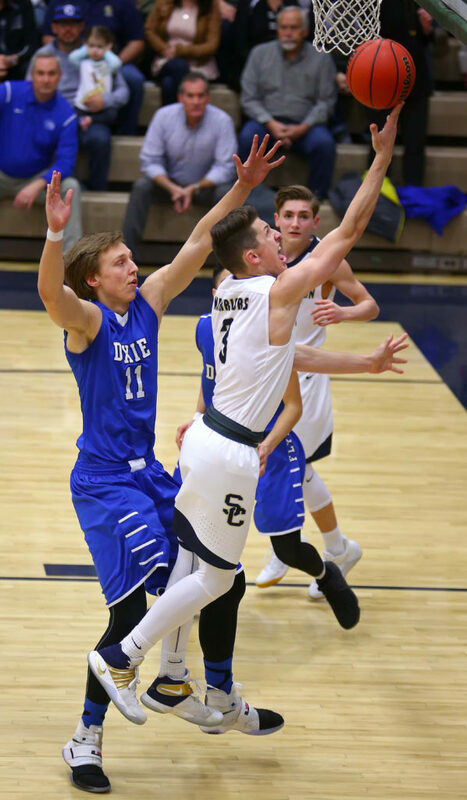 After Garrett’s layup, the Panthers scored eight unanswered, including a 3-pointer by Kade Moore, and it was 27-15 at the half. The Redmen senior still scored 16 points and had three assists, but Pine View limited his effectiveness. Nielson only had four points in the first half as the Panthers built that 12-point lead. 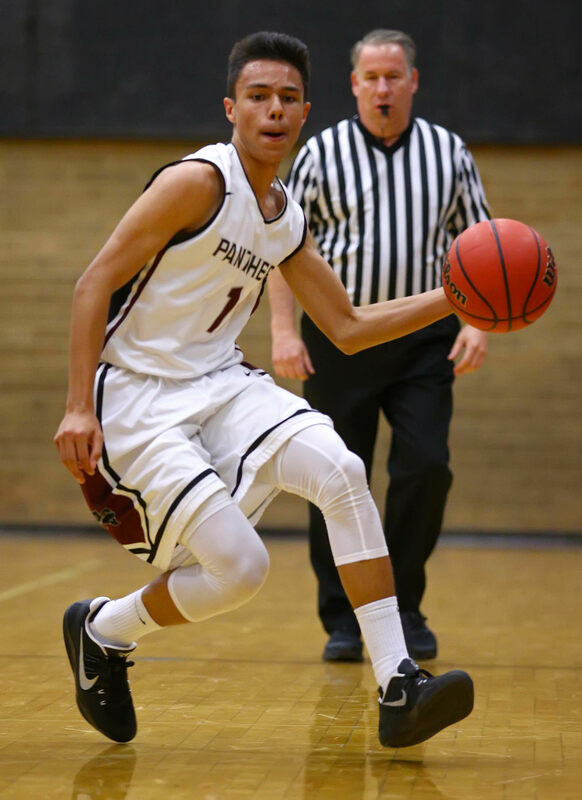 Pine View point guard Kyler Vaka had the best scoring night of his young career. He had a pair of treys and his three-point play late in the third quarter gave the Panthers a huge 47-24 edge at the end of the third. McKay Lambert hit a trey early in the fourth to make it a 50-25 Pine View lead, but the Redmen outscored Pine View 20-7 the rest of the game, led by Parker Haynie. He finished with a team-high 18 points. Farrer had another humongous night for PV, scoring 16 points and yanking down 19 rebounds. Moore (seven assists) and Vaka had 11 points each and Pine View buried 8 of 22 3-pointers in the game. The Panthers also outrebounded the Redmen 34-23. 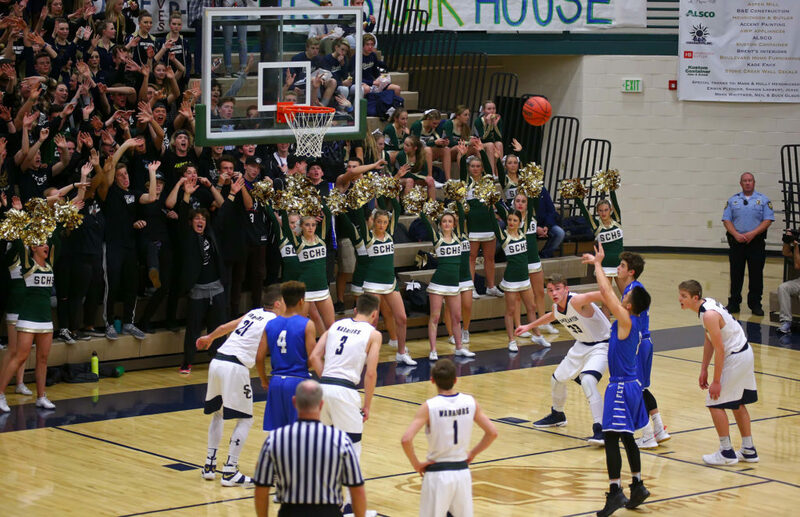 Cedar, 9-7 overall and 1-2 in region, made just 2 of 11 treys and hit 9 of 15 free throws. 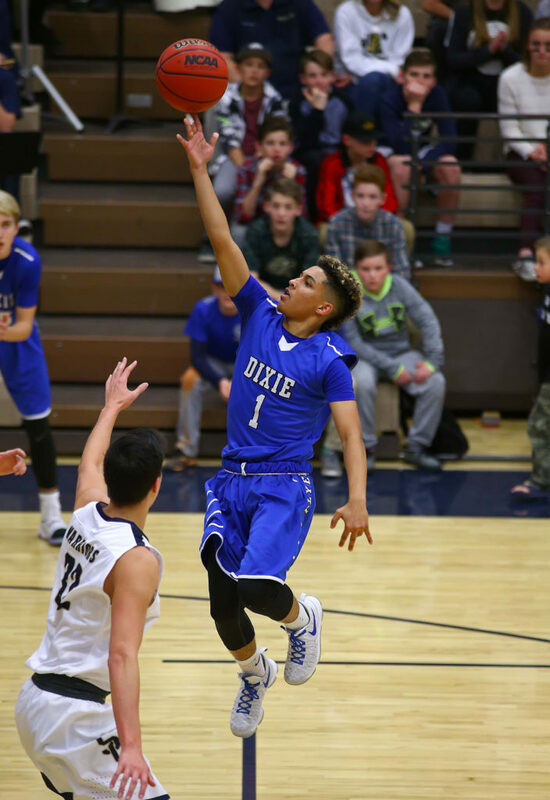 Pine View, 13-2 and 3-0, is at Dixie Friday in a battle for first place. Cedar hosts Hurricane.